Jakaya Kikwete Tanzanian President and Xi Jinping Chinese President officially executed 16 contracts for development projects in Tanzania during President Jinping’s state visit to Dar es Salaam on March 24th-25th. Tanzanian Officials said the 800 million USD bilateral package of infrastructure developments will spur Tanzania’s economy forward. The agreements clear way for China to fund and construct a 10 billion USD port at Bagamoyo as well as other infrastructure projects. “President Xi’s visit is historic” Tanzania’s Minister of Foreign Affairs and International Co-operation Bernard Membe said. “Apart from unveiling China’s policy towards Africa through Tanzania, Tanzania has signed with China 19 valuable agreements. An agreement like that of the port of Bagamoyo is a lifelong investment” he added. The Port of Bagamoyo is scheduled for completion in 2017 and will handle twenty times more cargo than Tanzania’s largest port in the Capital. 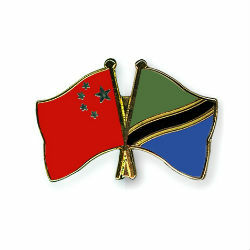 Under this Chinese-Tanzanian initiative there will also be loan agreements between Bank of Tanzania and the Export-Import Bank of China, creation of modern industrialisation and agricultural zones and the establistment of a Chinese Cultural Centre in Tanzania.